You won’t believe you are in the heart of bustling Seminyak when you step through the gates into the exquisite walled garden of Villa Shambala. Your holiday has begun. The family-friendly advantages of a villa holiday are many, including access to your own private facilities and the freedom to use them whenever you want. Knowing that your kids can run around happily, independently and safely without you having to worry about other guests, is a real plus – and one that means you are certain to have a more relaxed holiday too. 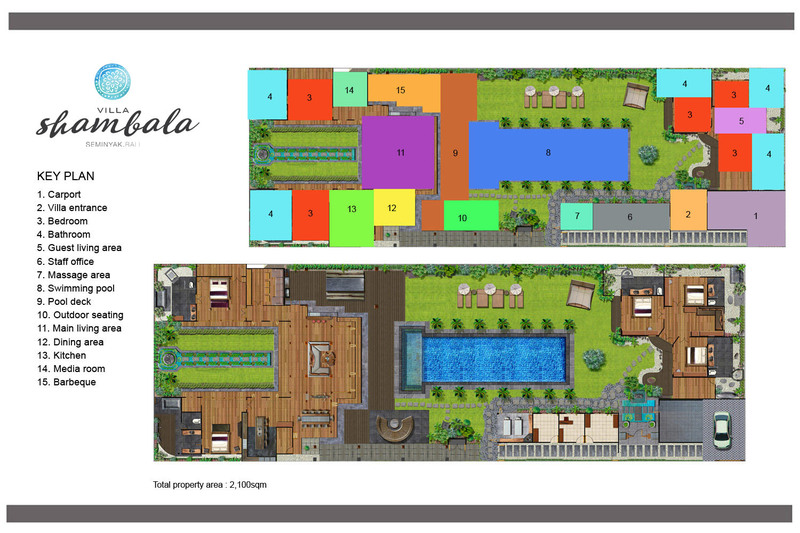 Villa Shambala is set up for families with children of all ages. Teenagers will be delighted to have the excitement of Seminyak on their doorstep; youngsters will love being close to the beach, and all will appreciate the independence of the guest bedroom pavilion and its cosy TV lounge. The garden offers plenty of open space and the pool is big enough for everyone to enjoy, with a shallow end for the little ones. The team of friendly staff at Villa Shambala always make children feel as welcome as adults, and having these willing helpers on hand gives you plenty of flexibility and freedom to do your own exploring beyond the villa grounds (full-time babysitting incurs a small extra cost). The staff understand that children can sometimes be fussy eaters, and will happily prepare meals to cater for them. They can also prepare babies’ meals. Just talk through your requirements and meal schedules with the villa manager or cook and they will take care of the rest. Don’t worry about packing all that cumbersome kids’ equipment for your stay. Just let us know what you need, and anything we don’t have in-house (villa facilities include a baby cot, highchair, books, games and toys) we can hire on your behalf (click here to see list of available hire items). Tropical Life Magazine, January/April 2018. The Traveler In-Boat Magazine, November, 2017. Luxe Seminyak Villas, Bali, Honeycombers, November 24, 2016. Inside four of the most luxurious super villas in Bali, Escape, October 18, 2016. The Best Villas in Seminyak, The Asia Collective, Published October 15, 2016. A Hidden Sanctuary in Seminyak at VILLA SHAMBALA, Tropical Life Magazine, Sep – Dec, 2016.